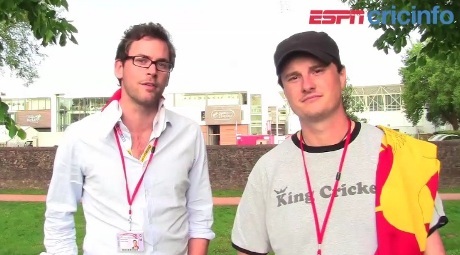 We have to plug the Chuck Fleetwood-Smiths (Jarrod Kimber and Sam Collins, formerly Two Pricks at the Ashes) because Jarrod wore our T-shirt yesterday. 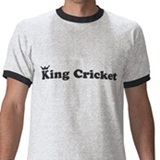 We had an extended discussion about Jarrod’s mooted attire earlier in the week, during which we told him about the time a friend had seen us in a King Cricket T-shirt drinking from a King Cricket mug and had felt moved to call us a rude name. Jarrod being Jarrod, he thought our self-branding was perfectly acceptable. He said he had once gone to meet his fellow Chuck wearing a Cricket With Balls T-shirt and a Cricket With Balls cap. We pointed out that Craig White had always worn whites and no-one had ever had a problem with that. We both then agreed that neither of us was a colossal egotist and nor should we feel ashamed of ourselves. Anyway, the Chuck Fleetwood-Smiths. We will plug them by saying that their first episode for Cricinfo was the worst they’ve ever done, which is a compliment because it’s still good. They just talk about cricket too much, that’s all. Should they get the boot from Cricinfo, you will be able to find them at their website, which is so perfectly fit-for-purpose we felt moved to create a Word document detailing its strengths which we then sent to Sam, who we suspect was rather nonplussed by this unsolicited review. 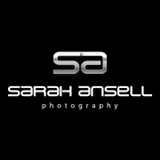 Enough of this mutual back-slapping – can’t you put up a picture of an animal or something? And by animal I mean cat. If you can get a picture of one with a King Cricket With Balls T-shirt on, that’d be great. Jarrod’s head is about twice the width of Sam’s. Mutual back-slapping comes with this sort of turf.